Digital Assistants for Teachers, or Digital Teaching Assistants? If every teacher had access to a digital assistant what would it mean for the profession? I ask this question because at this juncture a number of technologies are beginning to be combined to deliver the first generation of digital assistants to teachers. This is proving to be possible because schools, colleges and universities have large repositories of data, they make use of numerous online services were data is collected and used to support teaching, learning and assessment; robotic process automation is becoming commonplace; there is a growing number of platform providers that offer cognitive services that utilise natural language and machine learning; and end user devices are enabling the use of conversational services. 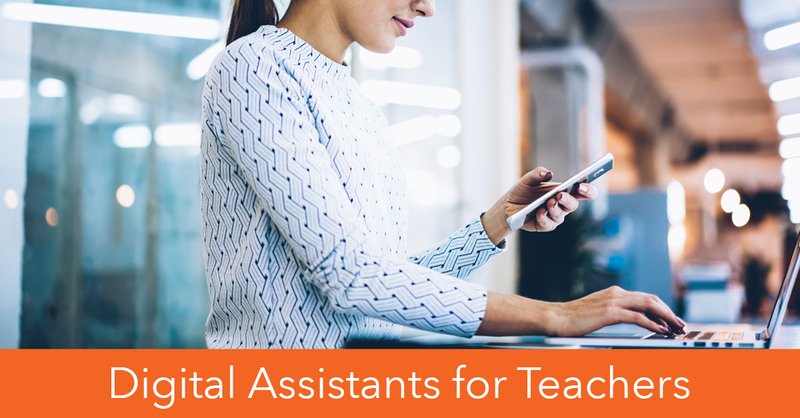 Once these services are combined teachers will simply converse with their digital assistants to garner insights to support their day-to-day work. The nature of the digital assistant means that the presentation of this information will be contextualised to the teacher who makes the enquiry. Since the digital assistant is context aware, it can also offer timely information to the teacher in advance of being asked. As these services are connected to all key online services and datasets across the campus they will also have the ability to carry out tasks on behalf of the teacher. These tasks will include the authoring of student report cards, arranging meetings with students, colleagues or parents; answering emails; compiling and distributing teaching, learning and assessment materials on the institution's adaptive learning environment and even the marking of student work. A campus can opt for a voice only solution which makes use of smart speakers. In this instance, teachers can only interact with the service using voice input and the service presents information using voice output. A campus may use a screen only solution. Teachers will use text input to engage with the service, and the digital assistant will use text and multi-media output. The ability to present visual information allows for more complex information to be presented to teachers. A campus can opt for a solution that utilises voice and screen. Teachers can use voice input to engage with the service and the digital assistant can use voice, text and multi-media output. Teachers may feel that they can present questions to the digital assistant more readily if they make use of their voice. Teachers may also state that they can consume visual information more rapidly than a service that delivers voice only output. Overtime, digital assistants will also start to act with a greater degree of agency. And as they do, they will begin to work in tandem with individual teachers, course teams and for the institution as a whole. For example, the digital assistant will alert teachers about the students who are flagging with their studies; the assistant will generate daily report cards for students to guide them with their studies and it will also present a daily report card for teachers, course teams and managers at the institution about a whole manner of topics. Within the context of an online learning environment, teachers can use the capabilities of their digital assistant to assign personalised and contextualised learning and assessment materials to each of their students. Digital assistants will also support teachers to manage the growing volume of data that they need to handle to support the academic and pastoral care for each of their students. Once digital assistants have demonstrated their capabilities, teachers will have a greater degree of confidence in using them to support student enquiries. For example, a teacher may ask her digital assistant about the grades that one of her student's needs to maintain his grade average to secure a place at his chosen university. In this instance, the teacher simply has to converse with the digital assistant to find out the answer. Overtime, teachers will pose a large volume of questions to their digital assistant and across a broad range of contexts. Teachers will also need to be aware that their students will also have access to a digital assistant. The digital assistant that supports the student body will not behave in a homogeneous manner since it will offer advice and guidance; and learning and assessment that is unique to each and every student on the campus. Teachers and support teams will also need to be aware that students will increasingly reach out to their digital assistant for information, advice and guidance rather than to themselves. There is a concern that staff around the campus will not be aware of what advice the digital assistant is presenting to their students. In some cases, students will want a degree of privacy when conversing with the digital assistant, and in other instances, they will be willing for the dialogue to be shared with their teachers and support teams. However, it is important to remember that the digital assistant's behaviour is determined by staff across the campus; and if the digital assistant behaves in a deterministic fashion, it will behave on behalf of all teachers and support teams at the institution. Education institutions who wish to make use of digital assistants for students and teachers are advised to examine how the actions of their digital assistants can be understood and explained. Within an education setting it is vital that institutions can demonstrate why a student was assigned a particular set of learning and assessment materials, why a student was advised about aiming for a specific target grade or why a student was asked to resubmit a piece of coursework. 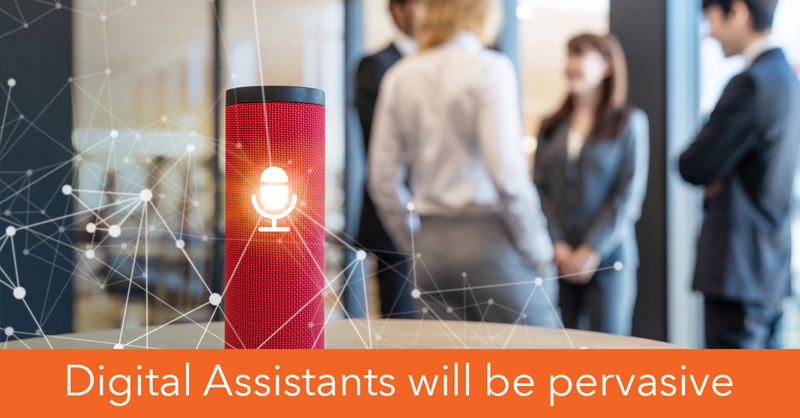 Schools, colleges, universities and the companies that offer digital assistants to the education sector will no doubt have to comply to a set of norms regarding the design, use and management of digital assistants. Explainable AI is important because digital assistants on the campus are set to become pervasive. They will be found in our classrooms, staff rooms, offices, student services, on all student and staff facing websites, in virtual reality environments, in our libraries, in our bedrooms, kitchens and lounges; and they will be present on our smartphones; the most ubiquitous device on our campus. What is Bolton College doing in this field? Colleagues at Bolton College are currently developing a staff facing chatbot service which will be used by teachers and support teams across the College. The service is designed to answer day-to-day questions from colleagues about the College and campus services, specific questions relating to the individual who is asking the question and it is designed to support enquiries about the students under their care. The latter is of particular interest because it changes how teachers and support teams access and manage the data they need to support students with their academic and pastoral care. The service can currently respond contextually to various questions such as: show me the students who are out on work placement next week, which one of my students is at risk with their studies, show me the students with a poor attendance record, how is student A doing with her studies, who is ready to start their work placement and more. We hope the service will enable colleagues to spend less time searching for information in legacy systems. Teachers will simply use conversational language to garner insights on their students. Early feedback suggests that the service will be well received by colleagues when it goes live later in the academic year. The College aims to offer the digital assistant to its teachers across a number of modalities. Teachers can currently access the service on the institution's Staff Home Page and on their Amazon Echo devices. In the new year the College will publish apps so that teachers can use the service through their iPhones and Android smartphones. The FE News Channel gives you the latest breaking news and updates on emerging education strategies and the #FutureofEducation. Providing trustworthy and positive news and views since 2003, we publish exclusive peer to peer articles from our feature writers, as well as user content from our network of over 3000 contributors, offering multiple sources of news across the Education and Employability sectors. FE News also broadcast live events, webinars, video interviews and news bulletins so you receive the latest developments in Skills News and across the Apprenticeship, Further Education and Employability sectors. FE News, the Further Education, Skills and Work Based Learning online news magazine for The Future of Education. We provide you with four sources of news across the Further Education, Apprenticeship, Skills and Employability sectors.